more than 50 percent of fortune 500 manufacturing companies are our customers. How do you build a successful training solution? 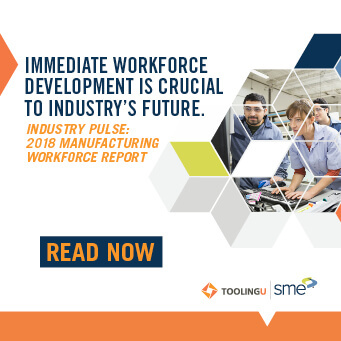 With more than 80 years of experience working with manufacturers and educators, no one knows better than Tooling U-SME. Our proprietary Accelerate Methodology starts with identifying specific market conditions to fuel a focused analysis of needs, expert design of a complete program, detailed implementation plan, and persistent follow-through with evaluation and support to assure the best results and outcomes. And every step is guided by knowledgeable sales, service, and client support staff. See more. Our Competency Model Framework revolutionizes training. It breaks successful performance into a specific set of related knowledge, skills, and abilities. Nine functional areas and 60 competency models help identify gaps, define requirements, and provide specific guidance for development. See more. Programs are flexible, even customizable online and instructor-led courses, plus a library of online resources. We’re building the workforce of the future and changing students’ lives with financial support and manufacturing exploration programs. Meet us, learn our story, and see what we can do for you. We’re always looking for bright and energetic people to work as part of our dynamic team. Over 80 years in manufacturing has made us today’s industry leader. Find out what we’re up to and learn what others are saying about us. Our proprietary, comprehensive approach is the key to our solutions: tailored training that drives the measurable difference your organization seeks. Some of the industry-leading companies that work with us. The reason we chose Tooling U-SME is the on-demand program. When we have unplanned downtime, we can take the entire team to the training center and use that time for training.